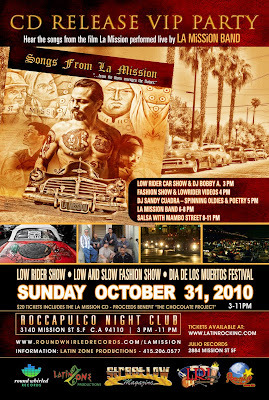 We will be throwing a big CD Release Party and Lowrider Car Show for the release of Songs from La Mission on Halloween, October 31st, 2010. This will be a great San Francisco Halloween event. 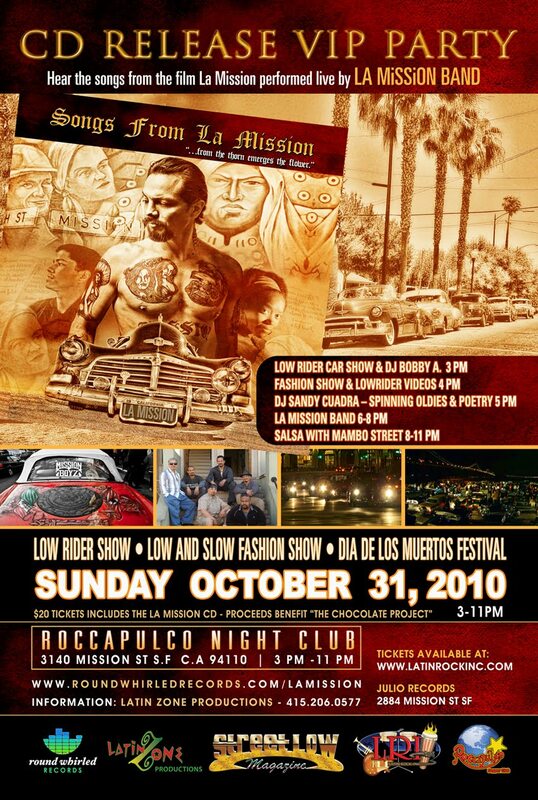 $20 gets you a free CD with entrance, La MiSSion Band will be rocking live, and then Salsa dancing with Mambo Street, plus lowrider cars and more. http://www.facebook.com/event.php?eid=103816053015816 is the facebook event link, see you there.